Salamandra robotica II is a last generation amphibious robot developed by the Biorobotics Laboratory at EPFL (École Polytechnique Fédérale de Lausanne). It is the guest of honor at the booth of Syrobo, the founder of Innorobo, which is the largest European exhibition of service robotics, and takes place in Lyon from 19 to 21 March 2013. 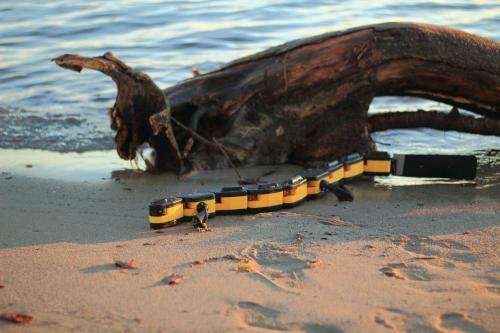 Among the many robots inspired by natural designs, the Salamandra robotica II is the only one able to swim, crawl and walk—all by combining robotics, evolution and neurobiology. A salamander's locomotion is controlled by neural circuits distributed along its spinal cord. When it chooses whether to swim or walk, its decision depends on the intensity of the electrical signals sent from the brain to the spinal cord circuits. Salamandra robotica II is able to move by using a digital model of the salamander's medullary neural network. A remote computer triggers electrical signals that mimic those coming from a real salamander's brain. 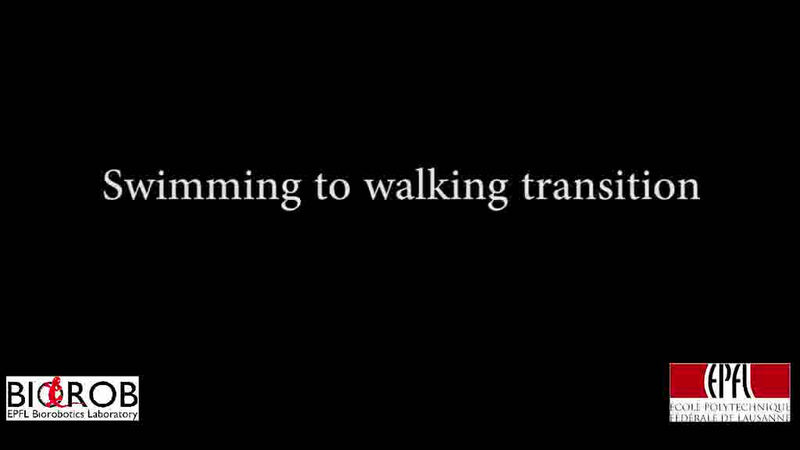 Finally, the signals control the walking and swimming modes, as well as the speed and direction of the robot's movement. This amphibious robot was developed by Professor Auke Ijspeert's team at EPFL in collaboration with Jean-Marie Cabelguen from the University of Bordeaux /INSERM. Unsurprisingly, it has evolved much faster that the animal it was modeled upon. Salamandra robotica II is now much more robust, faster and more powerful than the 2007 prototype. It is a valuable tool for better understanding of locomotion systems and their associated pathologies. 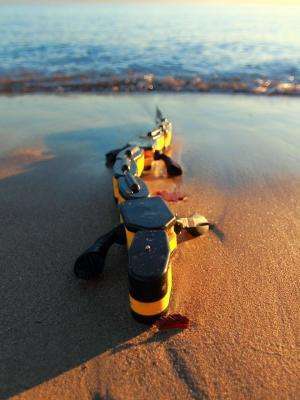 In addition, it paves the way for a new generation of amphibious robots that are capable of changing their speed, direction or locomotion mode by the transmission of simple commands from a remote station. This feature could prove to be particularly useful in a range of fields, e.g. search and rescue operations. Nice but can it do anything? WHA? Hey, it just did more laps in the pool, and speed walked more kilometers, than you have done in the last 30 year. Be nice human-type being! I have a suspicion that the primary purpose of this robot is to confound waterfowl. Let me be more specific. Can it do anything useful or is this a proof of concept item? Remarkably life-like. If given a more realistic exterior, it would fool anyone. The next step is to make one that swims underwater. It could be equipped with a boring mechanism that puts holes in the sides of enemy submarines or the hulls of enemy warships so that they could be salvaged intact and recycled. It's more elegant than blowing them up.